The victims told police they saw a car speeding away from the scene after the shooting. 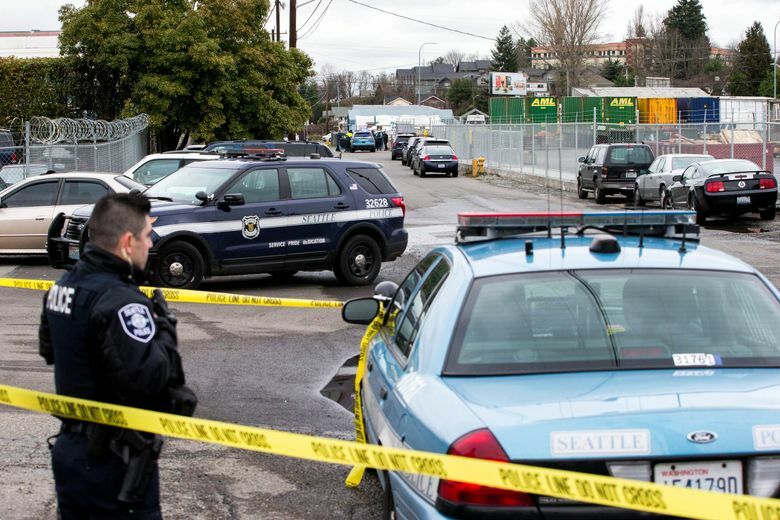 Seattle police are investigating a shooting that left two men wounded in an industrial area in Seattle’s South Park neighborhood Wednesday afternoon. 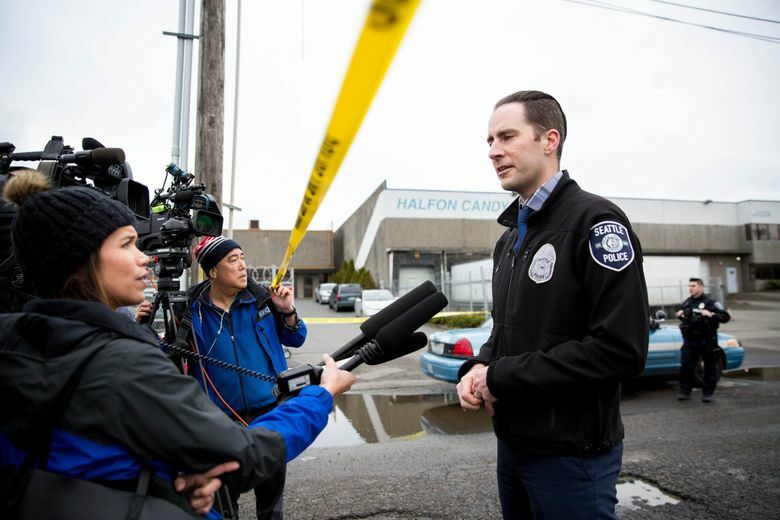 The victims, ages 23 and 26, were taken to Harborview Medical Center in critical condition, said Kristin Tinsley, a spokeswoman for the Seattle Fire Department. Police said a witness called 911 to report a man had been shot in the thigh in the 9200 block of 1oth Avenue South, police said. After police arrived they found a second man with a gunshot wound to the back. It is unclear if, or to what extent, the victims know each other. The victims told police they saw a car speed away after the shooting. 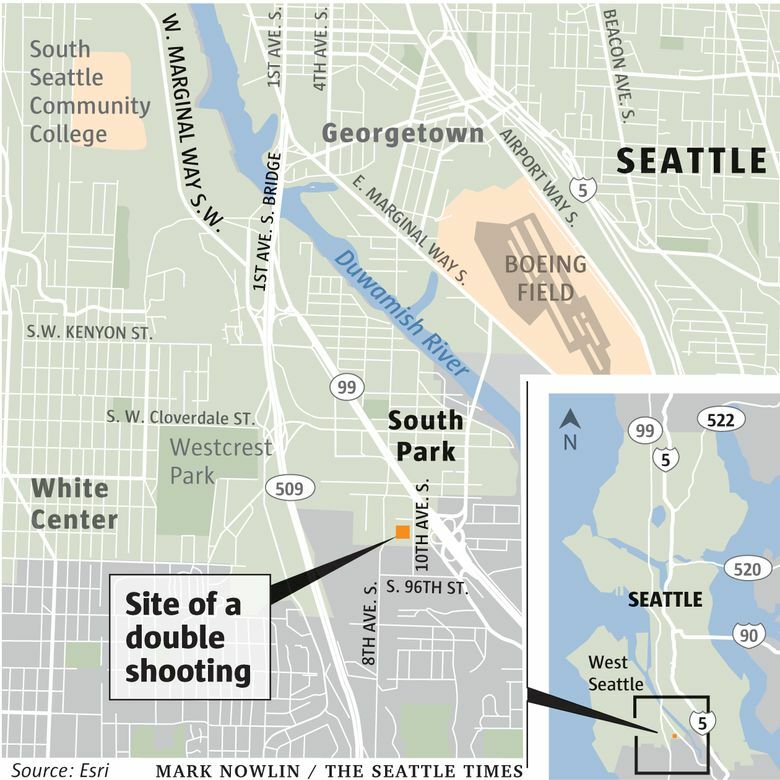 Circumstances that led to the shooting near this barge/cargo hauling depot are unknown. Victims said they saw a car speed away afterward. Police described the men’s wounds as serious but non-life-threatening. 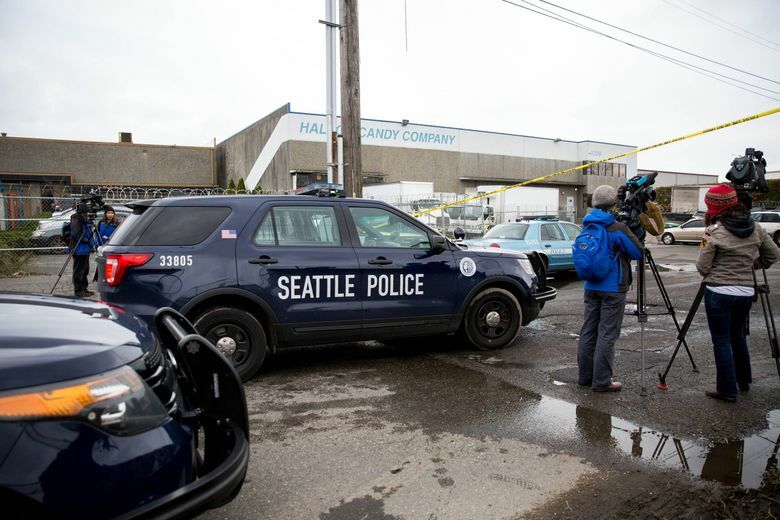 According to the fire department’s Real Time 911 website, medics responded at 12:21 p.m. to 9229 10th Ave. S. The Halfon Candy Co. is there, though it wasn’t immediately known if the shooting was connected to the business. “We have no comment. And if you could not call here, that would be great,” said a woman at the candy company when a reporter called about the double shooting. 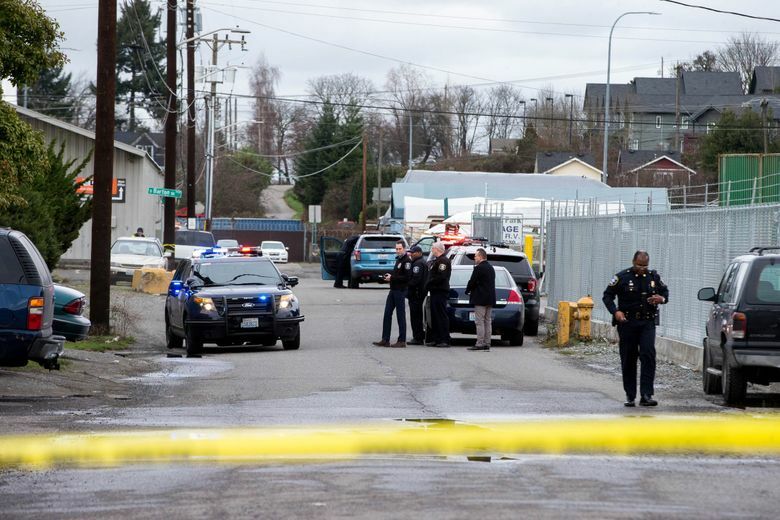 People in the area, an industrial site near cargo and barge equipment, have no reason to be concerned about the shooter, Michaud said Wednesday afternoon. “We believe the suspect has fled the scene,” he said. Detectives from the department’s gang unit are investigating, Michaud said. Officers investigating shooting near 10th Avenue South and South Cambridge St. 2 reported victims. This is an active investigation, will update with additional information when available.